How often do you get a query about a delivery and then spend a great deal of time trying to figure out who the driver was? Wouldn’t it be great if the driver’s identification was automatically recorded making it simple to determine what happened to a particular delivery or pickup? Or even which driver drove a specific truck on a certain day and time? Radio-frequency identification (RFID) technology integrated with a GPS truck tracking device can give you that information. Solutions like a fleetminder NxtG GPS tracker incorporate such capability. Because the driver name is recorded along with the truck travel data a number of useful reports can be generated from the tracking data. This can included driver’s hours for each day, week and month, how much time the truck is moving (being driven) during each shift and how much idle time occurs. This data can be used for payroll information or used as a comparison to other timesheet forms. With GPS truck tracking devices other administration issues can be dealt with much easier, for example, working out who the driver was when a speeding fine is received. RFID can also prevent unauthorised drivers from driving your truck or other company vehicle. The engine will only start if the RFID system identifies the driver. If an unauthorised driver uses your vehicle you will be alerted immediately and can take action to contact the truck driver or check and protect your vehicle. Another benefit is that the truck drivers are less likely to speed or drive recklessly if they know their driving assignments are being tracked and monitored. 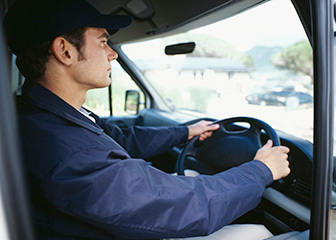 RFID will help to reduce abuse and bad driving habits. RFID driver identification systems matched with a good GPS truck tracking device is a great feature for protecting your trucks, maintaining your fleet and making it easier to manage your customer deliveries!